Where to find Scarperia hotels near an airport? 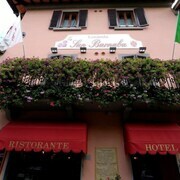 Where can I find hotels in Scarperia that are near tourist attractions? You'll find a good range of places to stay to select from when it's time to start booking your trip to Scarperia. You'll find around 12 apartments and hotels are within a 0.1-kilometre (0.06-mile) radius of Scarperia's town center. There are a number hotels that are within a 5-kilometre (3-mile) radius of Scarperia's city center, including the UNA Poggio dei Medici Golf & Resort and Hotel dei Vicari. The Four Seasons Hotel Firenze is located 30 kilometres (18 miles) from the middle of Scarperia. 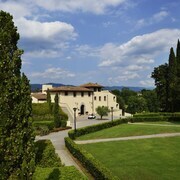 Another option is the The St. Regis Florence, which is positioned 30 kilometres (18 miles) away. 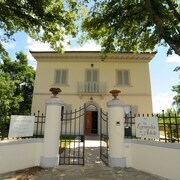 You could also choose to make a reservation at the J.K. Place Firenze or the Villa La Massa. Looking for things to do? Spend a few hours visiting Circolo Golf Ugolino and San Piero a Ema Church, in Bagno a Ripoli, 35 kilometres (20 miles) to the south of Scarperia. 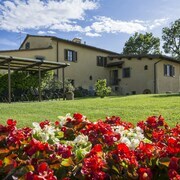 Should you wish to spend a night or two in Bagno a Ripoli, be sure to check out the Mulino di Firenze and Villa Olmi Firenze. 60 kilometres (36 miles) to the southwest of Scarperia, you'll find Certaldo Alto, home to the Azienda Agricola Casa alle Vacche and Poderi Arcangelo. If you're staying in Certaldo Alto, be sure to check out the Church of Saint Jacob and Saint Philip and Museum of Sacred Art. Before you head home, consider spending a few hours rubbing shoulders and cheering along with Florence sports obsessives at a local game. 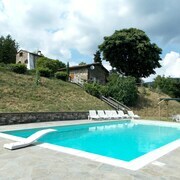 You'll find Stadio Artemio Franchi 30 kilometres (17 miles) to the south of Scarperia. Sports fans wishing to find a bed close by can make a choice from the The Westin Excelsior, Florence or the Il Salviatino. 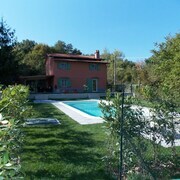 Peretola Airport can be found 25 kilometres (17 miles) away from Scarperia. 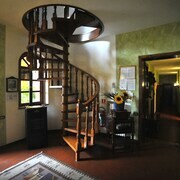 Should you wish to stay close by, can book a room via Expedia at the Torre di Bellosguardo or the Sina Villa Medici. 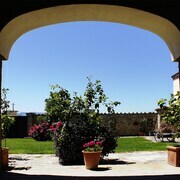 What are the most popular Scarperia hotels? Are there hotels in other cities near Scarperia? What other types of accommodations are available in Scarperia? Explore Scarperia with Expedia.ca’s Travel Guides to find the best flights, cars, holiday packages and more!